We picked up the stain at Line-X in Bellingham and it worked beautifully. We only needed the one 5-gal can so well be bringing the other one back when we come through Bham again during business hours but Im wondering if you have a Seattle distributor where we can pick up a gallon for our deck here in the city? This stuff goes much further than we expected which was a nice surprise. Hi guys! 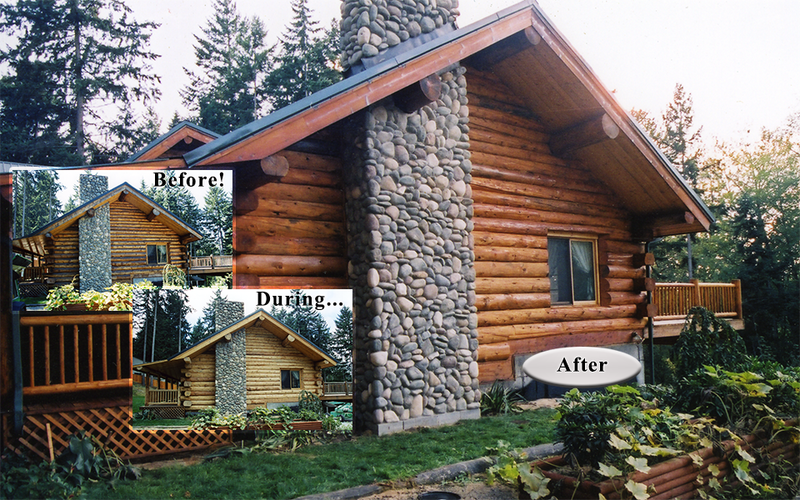 Just wanted to let you know how thrilled we are with the results of our cedar siding restoration! Thought I'd attach a couple of pictures if you would like to use them on your site. The service we received from Mike and his team was spectacular. Couldn't have asked for a more professional and nice group. They were all incredibly hard workers, and we were truly impressed with the amount of work they got done in such a short amount of time. I'd be happy to be listed as a reference for your site, as well. 'd be happy to be listed as a reference for your site, as well. Thank you so much for the excellent job! Our deck is finished! And we feel confident that it will stay that way for quite some time.This year, after much research we invested in the Lovitt's system; the two-step wood restoration kit, and the coating/finish. 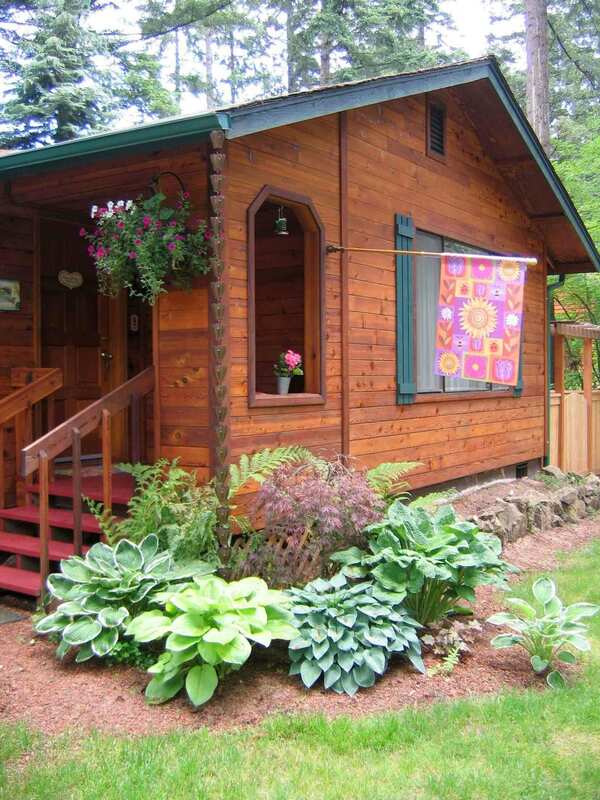 We live on a floating home on the Columbia River in Oregon. Wind, rain, rain, rain, the river, and the STRONG summer sun all sucked the life out of our deck. Ok, we also did the deck some damage. If you would like to see some pictures, just let us know. Thanks for the great customer service, and the great products. Our many floating home neighbors are watching carefully to see if we will be out on the deck napping or retreating it in two years. 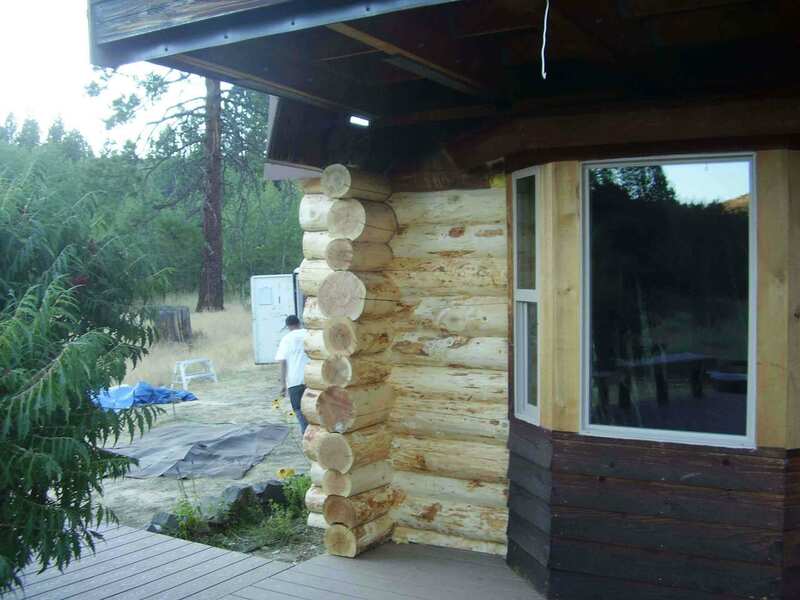 "Kate Wyman and Charles Marchant-Daisley"
Dear Michael, Jeff, Roger and crew, We want to thank you again for the excellent service and professional work you did on restoring our log home. It looks better than new! 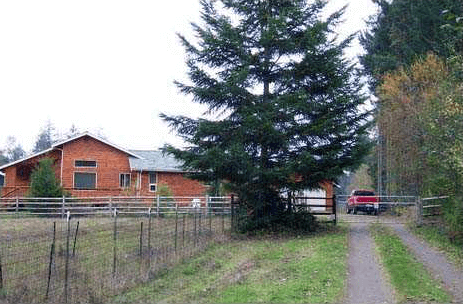 We appreciate that you let us split the replacement / restoration process into 2 seasons. Your company, by far, has the best custom service we have ever dealt with. It was a pleasure working with you from the first prompt contact to the impressive personal thank you card. We have shown that card to a lot of friends! Michael, thank you for coming back and personally putting the finish touches on 100% customer satisfaction. Keep up the great work. You are a superior company. 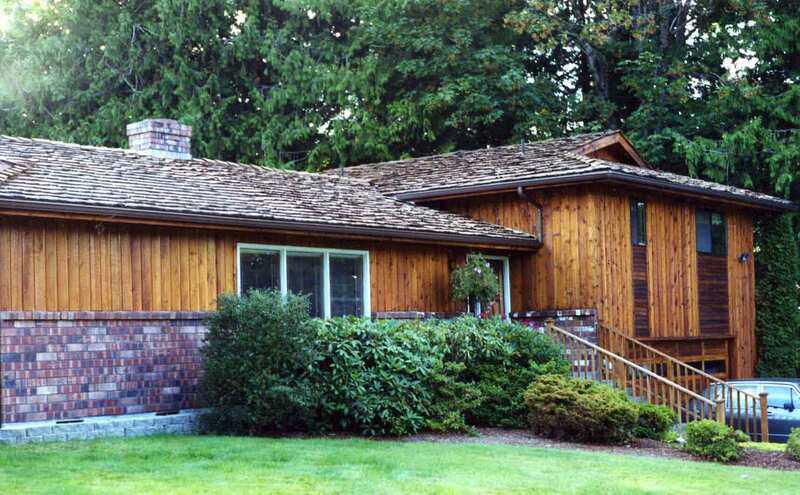 David and I want to thank you so much for the quality workmanship you performed on our cedar home! Although we were not here to watch the process, many of our neighbors have commented on your work ethic, industry knowledge, and professional manner. We love the way our home looks and have already referred Mr. John ---------. Hopefully you will hear from him, and others, as a result of our business. Now, we need to know how to care for our beautiful finish. Do you have a use/care reference you can direct us to? I trust we will hear from you at the end of our 60 day period to learn more about your service and protect agreement. It appears the settling issue was 95% resolved!! We'd like to know what you did and how you did it, should it occur again. Again, you and your crew are amazing and we are 100% satisfied with your work!! You guys did a wonderful job!. All in all, I am pleased to be able to provide this "Job Satisfaction" reference to anyone who needs wood restoration done to their premises: and I do want to express to Mike, Jeff, and all the men who worked on my project my sincere gratitude on a job well done and wishes for a great success in their future business endeavors. First off I'd like to say thank you to all the great folks and helpful staff, I always received expert advise and tips, on your products. I consider myself you best sales representative for the southwest, however I haven't sold too much, I have had an opportunity to tell hundreds about your product. As you can see from the photo's your Lovitts natural gold with honey tint has made our house glow warm and cozy. We constantly have folks stop and ask about what we used and rave about its beauty. I really appreciate your help, this project was done by my wife, myself and our two daughters ,plus many volunteers and a couple of sub contractors..... Every place you see stain it was applied by hand brush by my wife...she has applied 40 plus gallons. She is a saint, staining wasn't my thing, the look is definitely what we wanted and it has made our house. I just wanted to express our appreciation on a job well done. 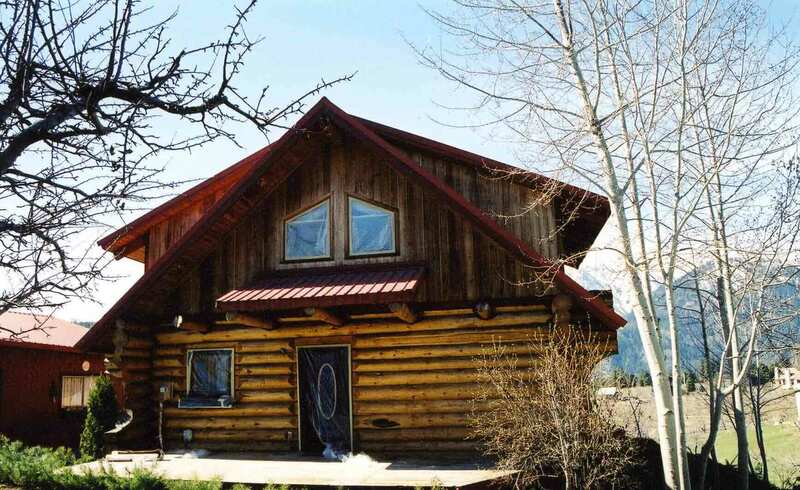 Before the purchase of my log home, your help on the overall condition of the home was greatly appreciated. 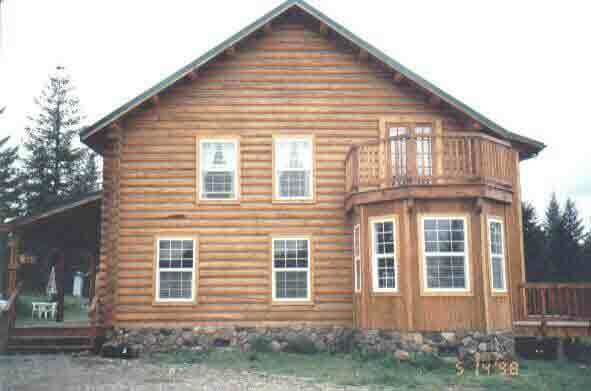 Not knowing a lot about log homes, the education you gave me was extremely helpful. 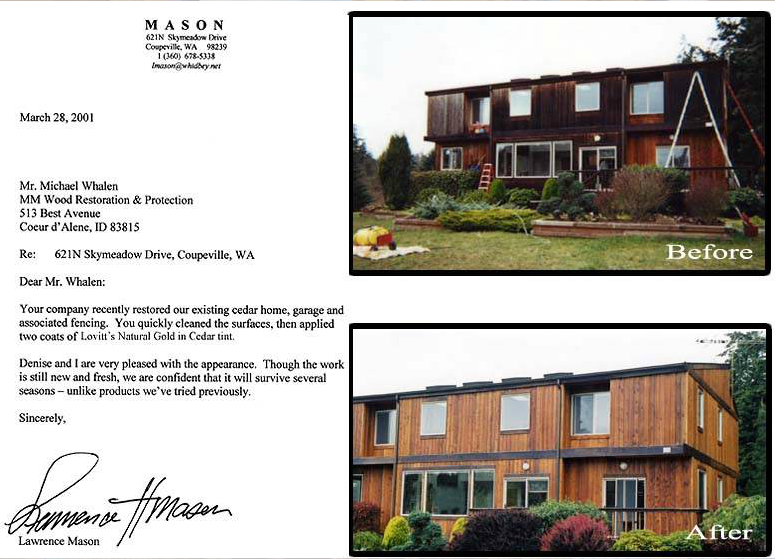 To complete the exterior of our home-stripped, stained, and resealed all within one week was outstanding. Thanks to you the house looks brand new. We are very satisfied with your work, and would not hesitate to recommend you to anyone who could use your services. I'm sure we will be in touch soon, knowing that there will be more maintenance needed in the future. 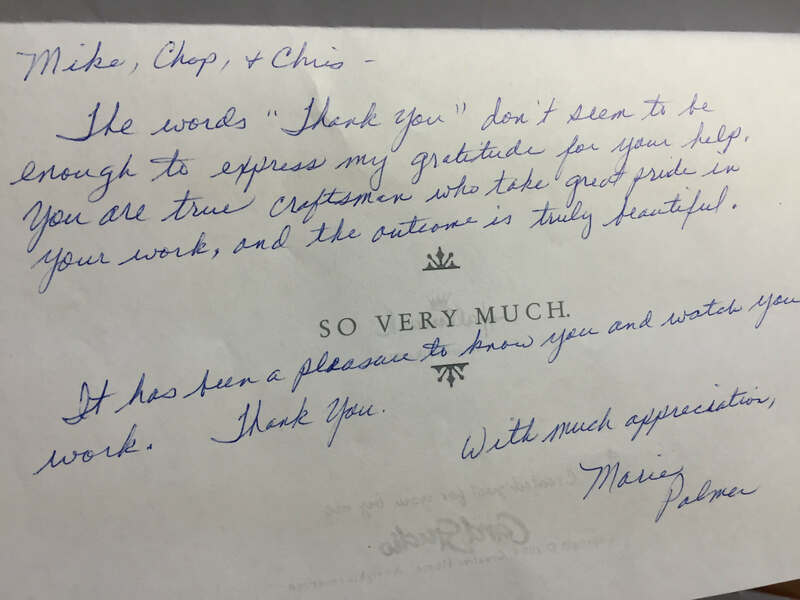 The purpose of this letter is to express my appreciation for the job you did in restoring my redwood deck and to recommend your work to any prospective clients. 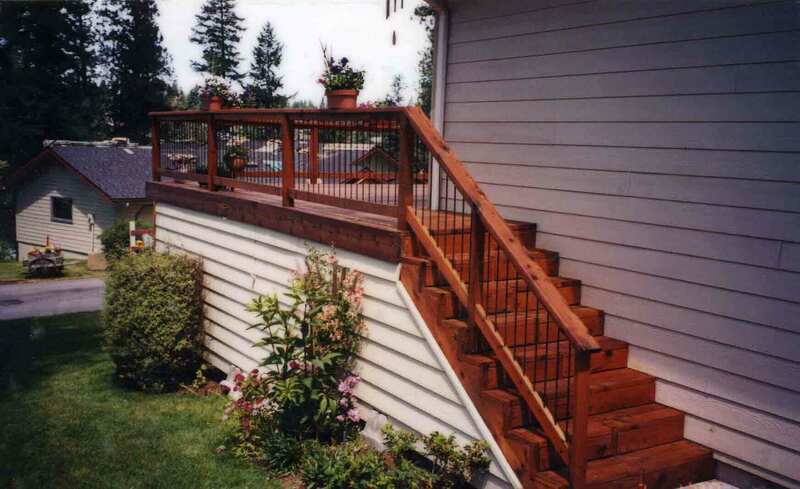 I built my deck in the summer of 1994 and used a good grade of redwood which, in my opinion, resulted in a beautiful deck with redwood railings and 3/8" iron pickets spaced every four inches. 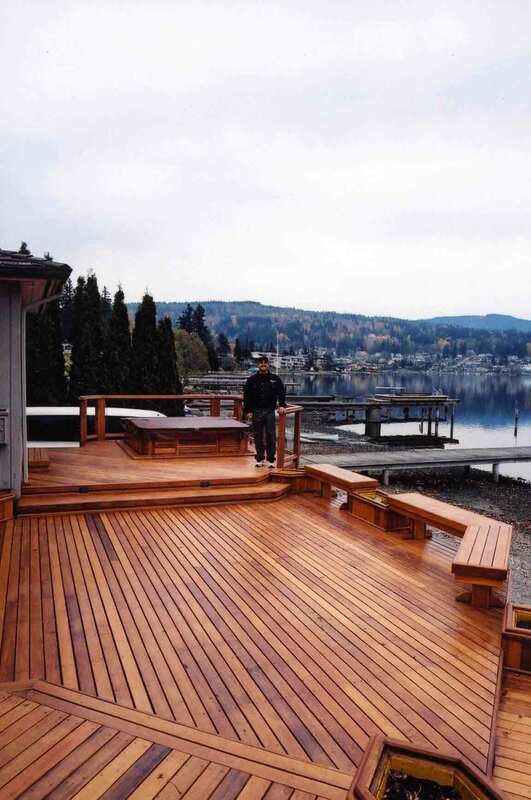 In building a deck with redwood one's greatest desire is to have it retain the redwood color and to preserve the wood. After considering several products to accomplish this purpose I settled on a product, Penofin, and at $26 per gallon thought it would do the job. Not so! After about two applications, including one pre-pre preparation each year I ended up with a black deck. 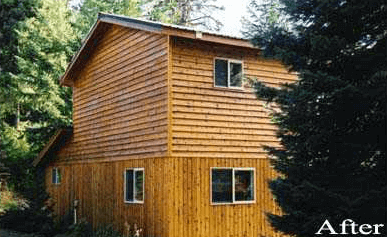 Approximately 500 sq. ft. of an ugly surface. Fortunately I heard about MM Wood Restoration Professionals. Mike and J assured me that with their products they could completely restore the deck to it's original color and luster. After discussing the process and viewing some of the jobs they had completed and their assurance as what their products would do they were hired to restore the deck. Well, I can't say enough about what a great job was done. The deck really looks beautiful. Both Mike and Jo and their hard working crew are to be complimented. They are very personable men who will not accept anything other than doing a complete and thorough job. I have absolutely no reservations in recommending them to the highest degree. 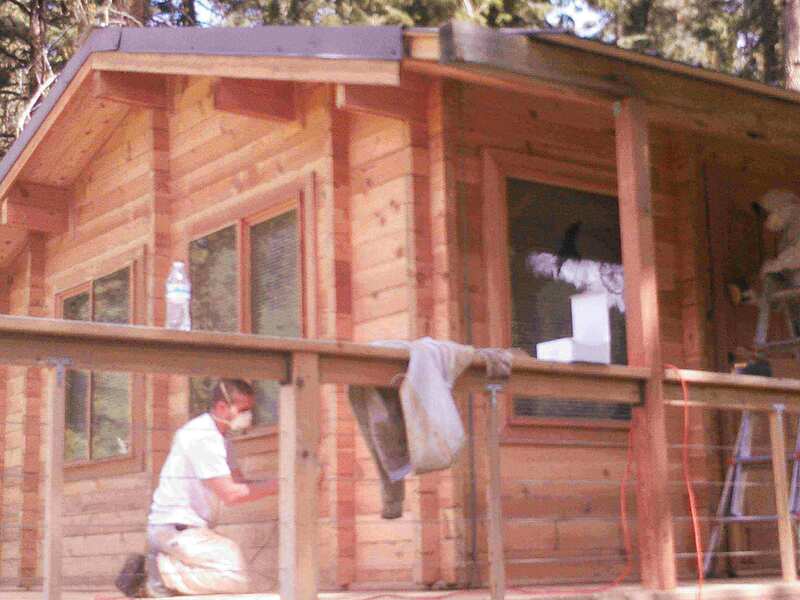 Hey MM Wood Restoration, Your crew did a great job on our cabin! It looks brand new....is what one of our neighbors said. Thanks again! Could you also give me some idea of your maintenance options." "Maybe Mike can stop by when he is back in town! I thought you might appreciate a few pictures after the successful completion of our home restoration. I was very pleased to receive your check in the mail today. It is wonderful to find a company that has tha honesty and integrity that you have shown!